Course Website: Official Website - Visit Suncadia Resort (Prospector Course)'s official website by clicking on the link provided. 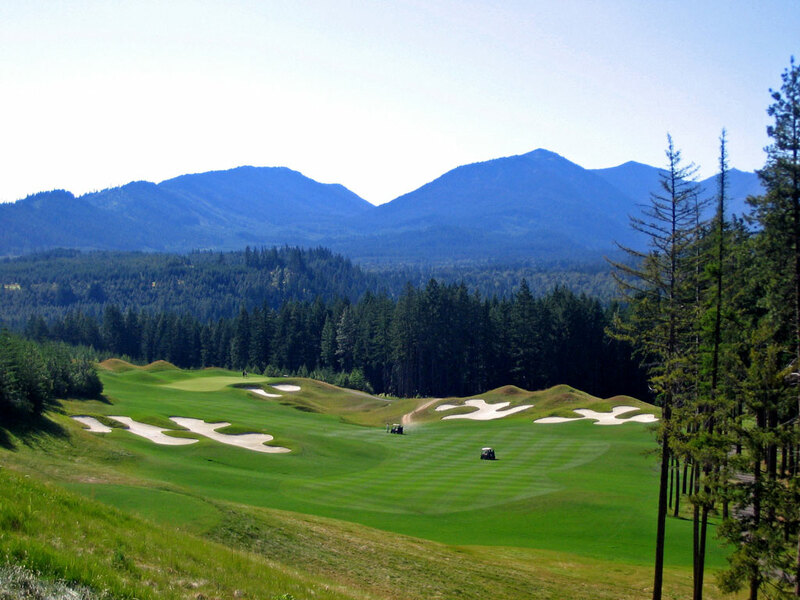 Accolades: Ranked 15th in Washington on Golf Course Gurus' Best in State list. What to Expect: The Prospector course at Suncadia is an Arnold Palmer designed mountain track that utilizes the surrounding trees to frame several attractive holes that have several bunkers and a few water hazards infused throughout the design. Elevation changes exist throughout the course with the largest one being the 100 foot drop from the 10th tee to the fairway below with a stunning view of the Cascade Mountains in the distance. The dense forest and isolated location provide an excellent setting to enjoy a round of golf.